As one of the most popular materials of the moment, you can pick up suede in just about any form these days. With such abundance, though, comes the tendency to become a little overwhelmed; wondering how to wear suede or, more importantly, how to care for it? Read on for our complete guide on both. Suede gloves, suede jackets, suede boots, shoes and bags; the number of ways you can incorporate suede into your outfit is about as limitless as it comes. 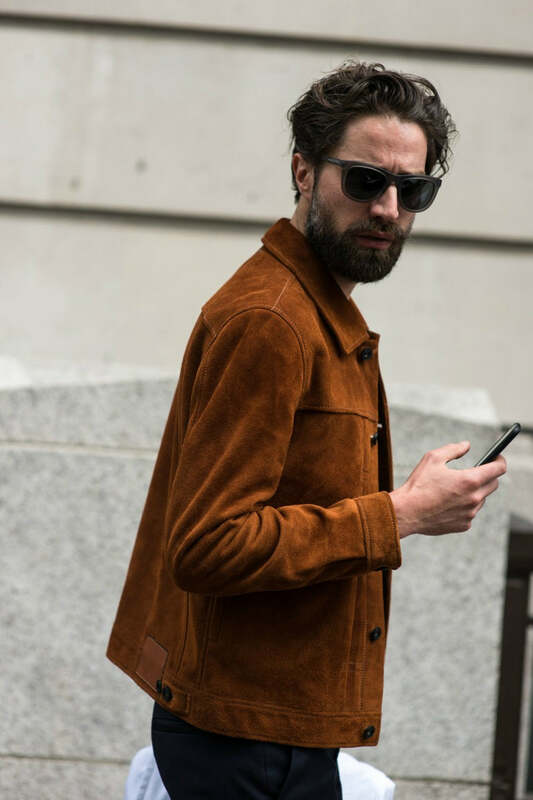 Its ability to transcend dress codes while adding depth to an outfit make suede a great choice for both smart and casual ensembles. Wondering how you can add a little suede to your outfit? Check out some ideas below. 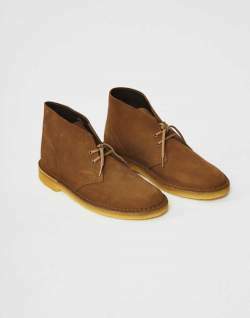 One of the easiest ways to add a little suede to your outfit is with a pair of trusty suede boots. 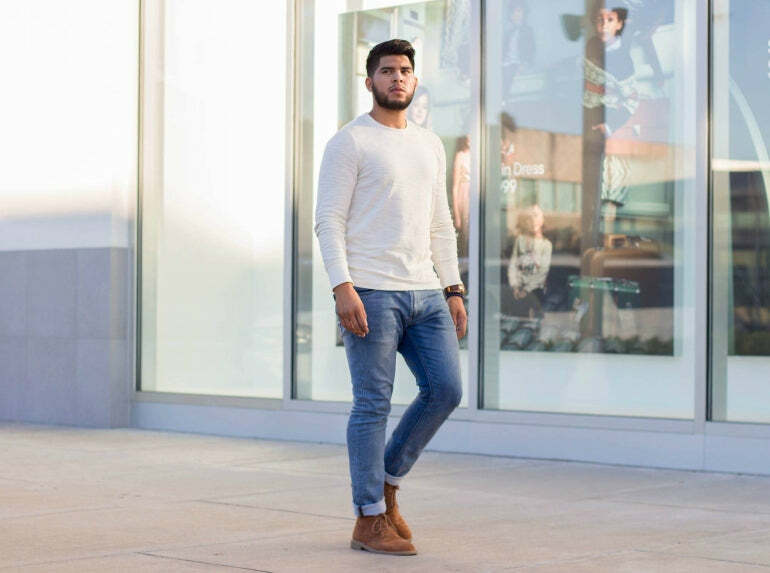 While perfectly suited to a casual day out and about, you can just as easily mix a pair of suede boots with some smart trousers for a put-together finish. 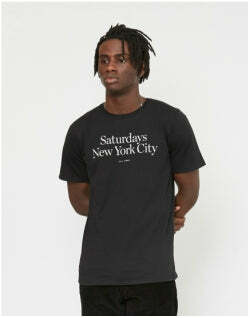 As below, mix your suede boots with some simple black jeans and a crew neck T-shirt. 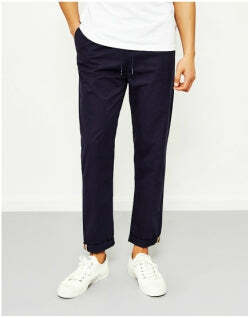 Effortless and stylish - win win. 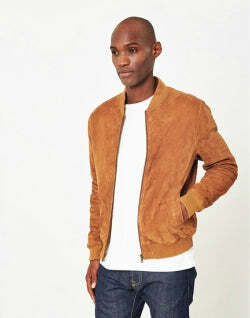 The suede jacket has been increasingly popular the last few seasons, so there's never been a better time to pick one up. 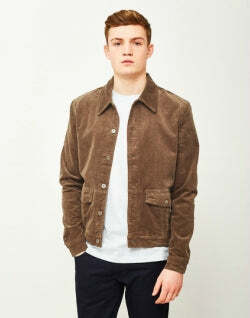 Add a little rebellious flair with a tan western-style suede jacket or keep things clean and contemporary, as below, with a suede bomber. 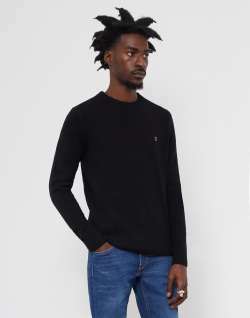 For a comfortable, but put-together style; wear your bomber over a simple crew neck sweater and some slim fit chinos - capish? 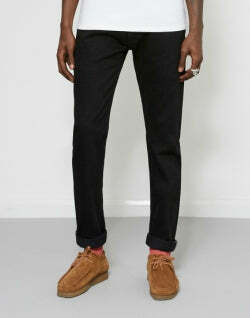 Last up, the outfit below showcases how suede can easily fit into a more formal affair without looking out of place. For a winter ready, work suited look; mix some blue jeans with a roll neck, throw on a fitted blazer and finish with your suede boots. 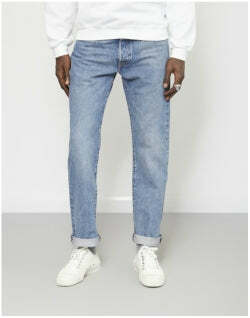 This look can readily see you through a regular workday, but just as suitable work for evening drinks with colleagues. 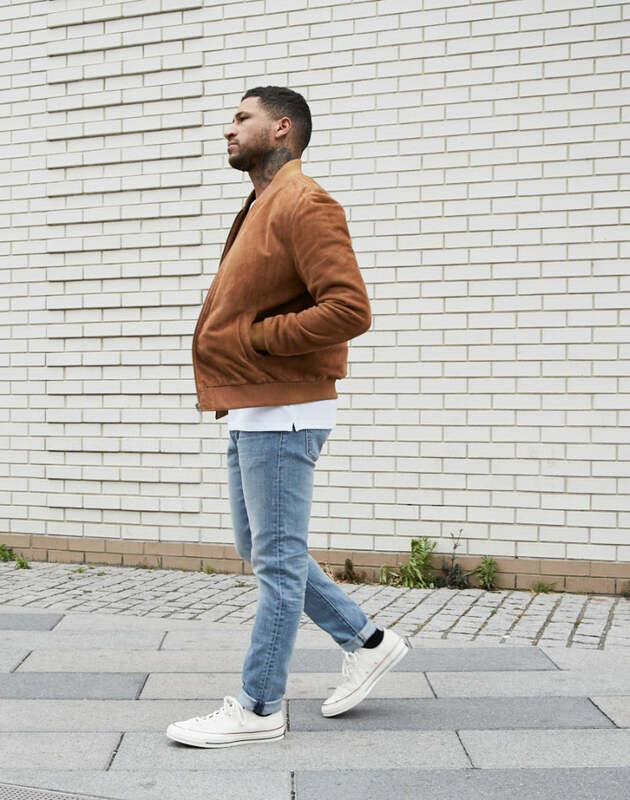 One of the trickiest aspects of wearing suede isn't in the styling itself, but the cleaning and preservation of the materials natural texture. Suede is a delicate material that definitely will show stains, so caring for your suede garments is of the utmost importance. Here are the simple steps you need to take should your lovely new suede boots get a nick. If you're wondering how to clean suede trainers, it's much the same as below. Also if you're wondering how to clean mud off suede shoes, this process will work too. 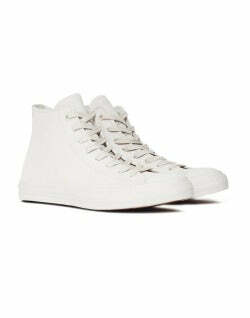 Next give them a good brush in both directions, this will remove any loose dirt on the shoe. 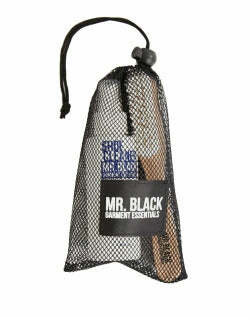 Depending on the shoe will determine which brush you should use, the longer the suede the softer the brush. Once you have the stain out, use a suede block to soften the leather where you have been brushing. Spray, spray, spray. After all this arm work it would be silly not to protect your shoes with a good suede protector. Make sure you're using a product made for suede such as suede shampoo. Still stuck? Check out the video below which covers everything from a simple clean to how to get mud off suede shoes. 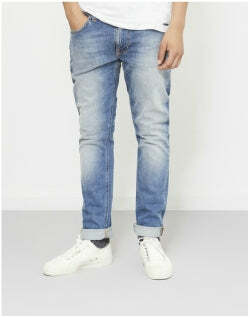 Can You Wash Suede Clothes? You can actually wash suede contrary to popular belief. That being said, the first port of call should always be the care label. While we'd recommend visiting a professional, If you're really wondering how to wash suede it's actually surprisingly easy. Now spot cleaning a suede jacket is very similar to the above of cleaning a suede shoe, but if it's the entire piece you're looking to clean, things can get a little trickier. Once again, we'd always advise visiting a professional, but if you're feeling brave you can pop it in the washing machine on a cold, delicate wash. While suede may be tougher than you think, be sure to never use a tumble dryer or attempt to wring dry as it definitely won't survive a bashing like that. When dealing with tough oil stains on suede, it's best to leave the cleaning to the professionals. Since suede is a delicate material that can damage easily, cleaning gone awry could ruin your clothing. Same deal as with oil. 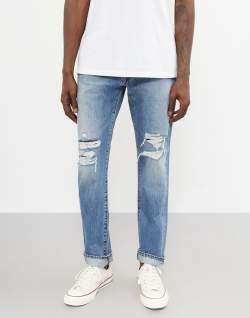 It may be tempting to clean your suede garments yourself to save the cost of going to a professional, but in these instances it really is worth it to go to a professional. Another good way to keep your suede cleaner is by investing in a suede protector. 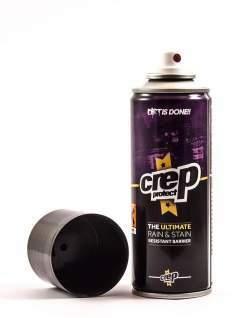 For the best suede protectors go for Crep Protect, Mr Black Shoes, or, if possible, an option offered by the particular brand of shoes you're buying. 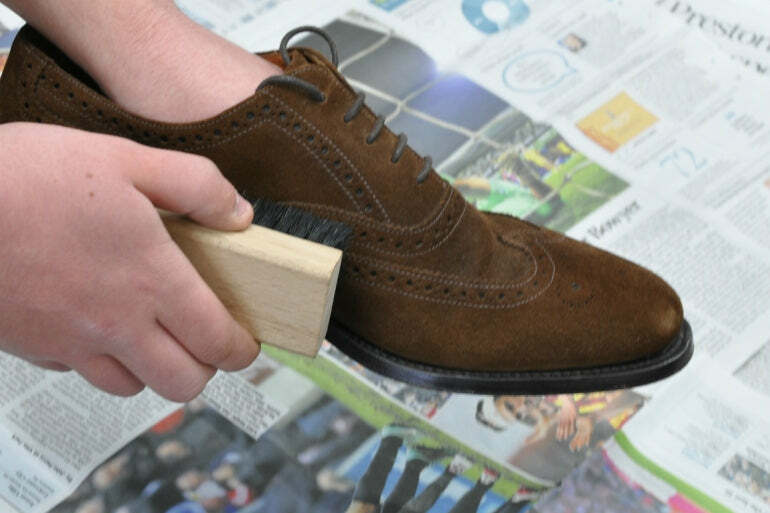 Cleaning suede shoes is important to keep them looking their best, so make sure you have the proper products. Further Reading: What is Suede? Well to put it in simple terms, Suede is soft leather that has been rubbed on one side to make a surface that looks and feels like velvet. So where does suede actually come from? Well, suede is leather with a napped finish, that is it looks similar to felt or velvet. Unlike regular leather, suede is made from the underside of the skin, which is usually taken from a lamb, deer or goat. It is because of this texture that suede can easily absorb fluids, which easily lead to permanent damage, so it’s not the best material for wet weather. There are a few different types of suede around and you'll no doubt find your favourite. Soft suede or microsuede is a microfiber knit with a soft finish. 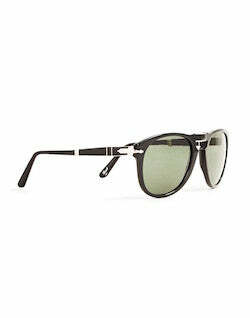 However, it is not the same as real suede made from leather and you can distinguish between the two. Microsuede has loads of stretch and is often used in make clothes and upholstery, it is also more durable and water resistant. than regular suede. Faux suede is a material that greatly resembles the real thing. 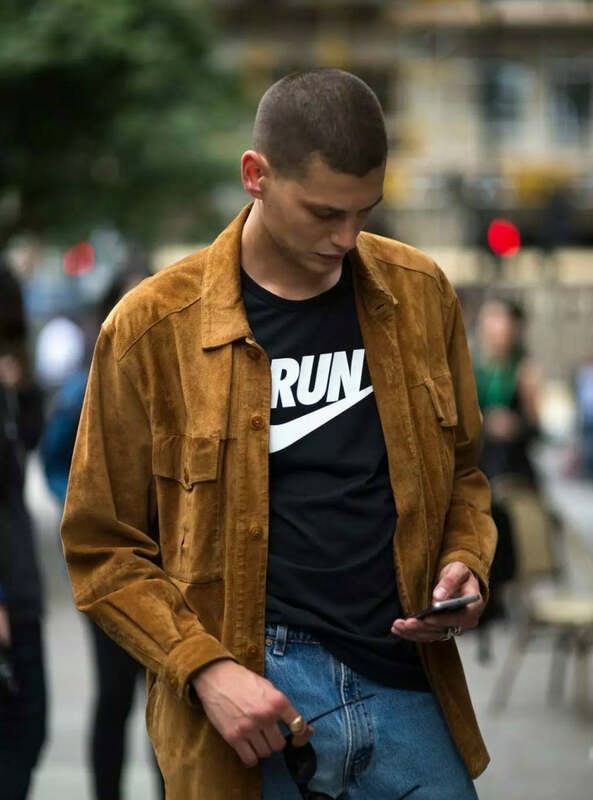 The texture and colour can be manipulated to look as close to real suede as it needs to, however, faux suede is actually 100% polyester and a man-made fabric. 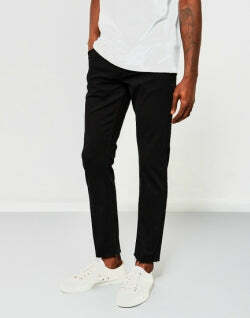 It's perfect for the vegan-friendly of us that want that style but don't want to harm animals in the process. Though suede and leather are usually made from the same animal, there are subtle differences that make them differ in texture. Suede: Usually made from the underside of the skin. What makes suede different to leather is it doesn't have the hard exterior skin that leather does, this, in turn, makes it less durable than your typical leather. Leather: A material that is created by tanning and processing an animals rawhide or skin. Most garments go through the process of vegetable tanning, this is especially true with leather jackets. 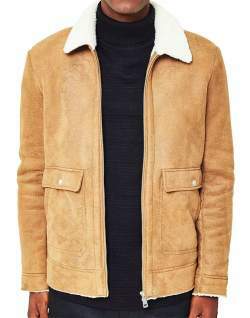 A statement jacket or pair of suede boots are the best way to incorporate suede into your wardrobe. For jackets, go for a classic silhouette like a bomber, worker or a moto jacket. 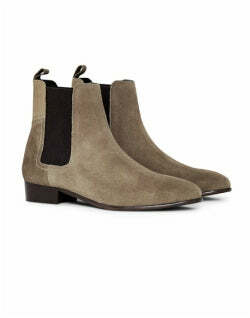 For shoes, suede Chelsea boots and desert boots are good options and are a classic addition to your attire. With cleaning, while visiting a professional is always recommended, there are certain things you can do from home. Invest in a quality cleaning kit, use suede brushes gently for small scuffs, followed by a suede block, some suede revive, and, finally, some suede protector. James Bay wearing Chelsea boots and a suede coat to a Burberry catwalk show. 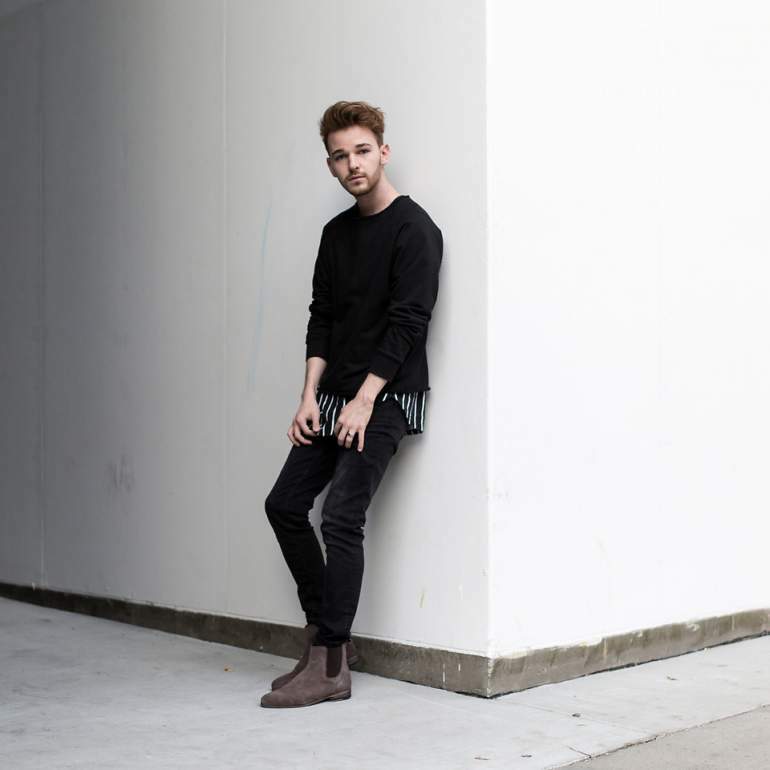 Now that you know how to style and clean your suede, you can buy and wear with confidence! It's is an expensive material, so, if you're buying the right stuff, you'll be paying a pretty penny - making it all the more important to know how to care for it. 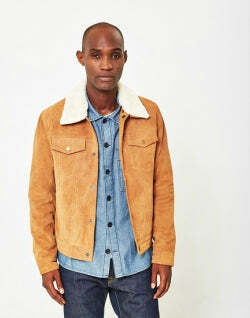 That being said, once you look after it, suede based pieces will be some of the most stylish pieces you own!